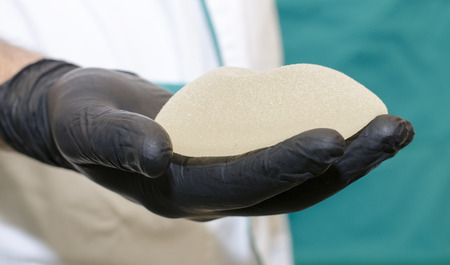 Silicone breast implants were a frequent target of lawsuits in the 1980s and 1990s, resulting in multibillion dollar settlements and the bankruptcy of Dow Corning. From 1992 until 2006, U.S. regulators banned the use of silicone implants for breast augmentation. Today, Mentor Worldwide, Allergan Plc, and Sientra Inc. are the only device makers approved to sell silicone breast implants in the U.S.
Two types of breast implants are currently available in the U.S. Saline breast implants are filled with either saline or sterile water, while silicone implants contain silicone gel. According to the American Society of Plastic Surgeons, the breast implant market was worth $635 million last year, with most women opting for silicone devices. Silicone gel breast implants were initially brought to market in the early 1960s. By the mid 1990s, however, hundreds of thousands of women had filed suit for autoimmune and connective tissue disorders that were allegedly caused by leaking silicone implants. in November 1995, a global settlement was reached involving implants marketed by Bristol-Myers Squibb Co./Medical Engineering Corp., Baxter Healthcare Corp ./Heyer Schulte, the 3M Company and McGhan Medical. Dow Corning, which was forced to seek bankruptcy protection in 1995 due to the overwhelming litigation, would agree to a $3.2 billion breast implant settlement in 1998. In January 1992, the FDA announced a voluntary moratorium on silicone-gel breast implants, so that it could review the safety and effectiveness of the devices. In April of the year, the agency concluded that access to silicone implants should continue only for patients undergoing breast reconstruction or for replacement of existing silicone gel-filled breast implants (revision). “Implants used for these indications should be considered to be investigational devices, and women who received them should be followed through adjunct clinical studies,” the FDA said. Implant removal (with or without replacement). Women with breast implants may also have a very low but increased likelihood of being diagnosed with anaplastic large cell lymphoma (ALCL), a rare form of non-Hodgkin’s lymphoma. In March 2017, the agency confirmed this risk, after logging 359 reports of the disease in patients with breast implants, including nine deaths. The FDA has been unable to conclude that any link exists between silicone breast implants and connective tissue disease, breast cancer, or reproductive problems. However, larger studies are needed to definitively rule out any potential association. In September 2016, a Seattle woman filed a breast implant lawsuit in San Francisco federal court against Johnson & Johnson and its Mentor subsidary, after silicone implants allegedly made her sick. Her complaint claims that the chemicals used to manufacture Mentor MemoryGel implants bled through the devices, resulting in skin rashes, extreme fatigue, excessive levels of heavy metals in her blood stream, and other serious health problems. The plaintiff was eventually diagnosed with silicone toxicity and advised to have her breast implants removed. In January 2017, a second woman filed suit against Johnson & Johnson and Mentor after suffering pain, nausea, skin rashes and extreme fatigue allegedly due to leaking silicone breast implants. An attorney told Bloomberg News that her case could be just the “tip of the iceberg,” and speculated that thousands of women may have experienced similar problems.